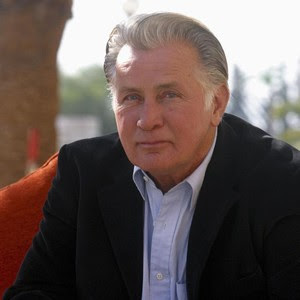 From the West Wing to Borrisokane: actor Martin Sheen is to play an Irish priest in a low-budget production being filmed in the North Tipperary town where his mother was born. Sheen, best known for his roles in Apocalypse Now and as President Josiah Bartlet in The West Wing, is to play Canon Barry, a priest who questions his vocation as he attempts to establish a rural cinema under opposition from politicians and the Catholic church hierarchy in the 1950s. Stella Days, which is based on a self-published book by a local bank official, will be directed by Thaddeus O’Sullivan, who made Ordinary Decent Criminal. Stephen Rea, star of The Crying Game, and Atonement’s Romola Garai will also feature. The movie was due to shoot in 2007 but was postponed due to legal and financial issues. Filming, largely in Borrisokane, has now been confirmed for the end of October. Sheen, a devout Catholic, has remained committed to the low-budget project for five years. He was first approached about it while visiting the birthplace of his mother, Mary Ann Phelan, in 2005. “Martin is very interested in Catholicism. The appeal was a combination of playing a priest who was questioning his vocation and the story’s setting,” said O’Sullivan. The director said the movie’s theme is Barry’s battle with bishops and politicians who have a “de Valerian attitude” to the cinema and think it will lead to foreign influences. Sheen’s character is based on a real-life Canon Cahill, a local priest who was the driving force behind the opening of the Stella cinema. Michael Doorley, the bank official from Borrisokane, who is now living in Bray, wrote the book as a hobby and published it himself on a modest scale. Maggie Pope, a producer on Stella Days who worked on Into the West, came upon it in a Dublin bookshop. The Irish Film Board has provided €600,000 in funding and the production will also avail of Section 481 film tax breaks. Sheen, 70, has visited Ireland frequently since 1973. He has cousins in Tipperary and studied at NUI Galway in 2006. Thanks for the information Stephen. Please keep us posted. I must be in Borrisokane in October.!!! I just love the West Wing and am in love with Martin!!!! The book is a great read. Congrats to Michael Doorley. The fine cast and great director will do the book justice.I look forward to seeing the end product. Parody of Mega Church - Very clever! Leaving Christianity - I know how she feels!